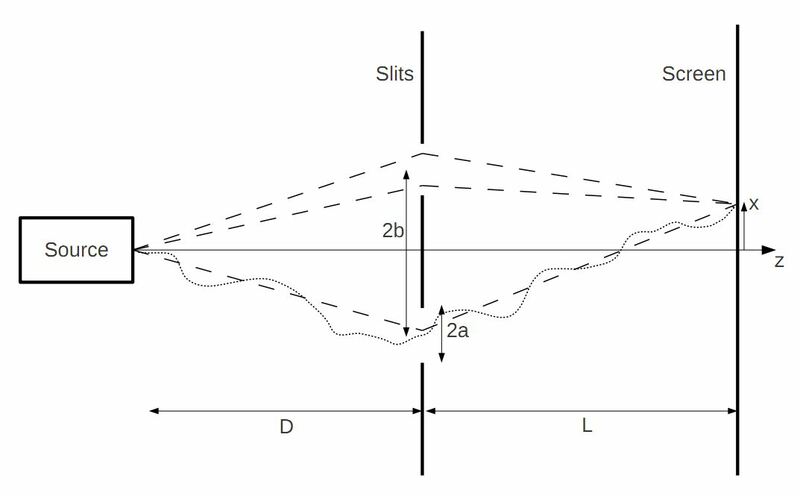 In this article we present an analytic solution of the famous problem of diffraction and interference of electrons through one and two slits (for simplicity, only the one-dimensional case is considered). It can thus be considered a complement to a recent article [S. Fraboni et al, Am. Journ. Phys. 79 (6), 615–618 (2011)] about the two- and three slit problem from an experimental/computational point of view. In addition to exact formulas, we exhibit various approximations of the electron distribution which facilitate the interpretation of the results. Our derivation is based on the Feynman path integral formula and this work could therefore also serve as an interesting pedagogical introduction to Feynman’s formulation of quantum mechanics for university students dealing with the foundations of quantum mechanics….